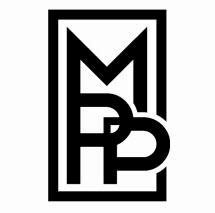 McMahan Perry & Phillips, LLC was formed in 2018 with the merger of David J. McMahan LLC and Kierston M. Phillips PC. We now have offices in Carrollton and Villa Rica. We are passionate about helping clients in any way we can. We believe in using the legal process to resolve conflict, not create it; and to safeguard quality of life for our clients inasmuch as possible. Our partners are lifelong residents of Carroll County, Georgia. David McMahan (a 1992 graduate of Central High School) manages the firm and focuses his practice on commercial and residential real estate transactions; Anna Perry (a 2003 graduate of Villa Rica High School) specializes in Divorce and Child Custody, Probate and Personal Injury; and Kierston Phillips (a 2007 graduate of Carrollton High School) focuses her practice on Divorce and Child Custody, Probate, Criminal Defense, Mediation and Real Estate. We try to make the law understandable for our clients, relate to them on a personal level, resolve conflict where possible, and zealously advocate when resolution is not possible.